Why You Need To Pick The Right Real Estate Agent…FOR YOU! The real estate business can be a harsh reality. From endless days with your house on the market to losing your dream home to another buyer, there are a million and one things that can go wrong. For these reasons, it is exceptionally important that you have representation that has your best interest in mind, and is experienced enough to handle the pressure of anything thrown their way. Believe me, the last thing you want in an agent is a weak negotiator, whether you are purchasing or selling. First things first, you need to choose an agent who does not do this as a hobby or part-time gig. They will only leave you feeling disappointed and angry. Full-time agents are devoted to this career and know all the in’s and out’s of the business. While the rest of the real estate world only closes on an average of 4 properties a year, RE/MAX agents close on over 16 listings and generate a little over $115,000 in annual commission sales. 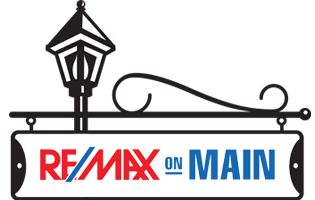 Also, those in the RE/MAX business typically have around 15 years of experience in real estate, which leads to happier and more satisfied customers. Not only should your agent have experience in the industry and prime negotiating skills, they should also be constantly aware of what is going on in the market. As we all know, the real estate market can change on the dime, so agents need to be as educated as possible and quick on their feet. Remember, knowledge really is power! Finally, marketing is a huge factor in this business. For sellers, you need to see how this agent is going to present and showcase your property to potential buyers. Do they have any materials they specially do for listings, like flyers or brochures? Will they post on social media? Will they refer their other buying clients to your property? How will they choose to stage your house and will they be honest with you about its current value? These are all extremely important points and it is wise to go over them before signing on with a specific real estate agent. Remember, the North Atlanta Home Team will be able to provide all these for you and will always keep your best interest in mind. We would love to help you find your dream home! Posted by Deborah Weiner | Discussion: Comments Off on Why You Need To Pick The Right Real Estate Agent…FOR YOU!